NOTE from the Publisher: This is not just an e-book. It is part of a comprehensive system of interactive programs that offer advanced training in some of the most essential successful living skills for the 21st Century. It is also a “co-creative process” designed to continuously evolve over time through input and participation by readers like you. Click here for more background details. That’s what “Solving Your Ultimate Destiny Success Puzzle,” will help you to do. Every section is there because people just like you asked for it! We ask people what they needed to know in order to feel blessed, happy and fulfilled. Solving Life’s Ultimate Destiny Success Puzzles is a Treasure Chest packed with 110 pages of original content, fun and insightful self discovery assessments, Master Goals Setting Forms, Implementation Action Planning Exercises and several FREE BONUSES. It is now available at introductory sale prices as an E-book or printed book. Congratulations on taking action now to realize more of your inherent potential and take control of your future. We look forward to helping you discover your dreams, fulfill your life purpose and manifest your ultimate destiny. 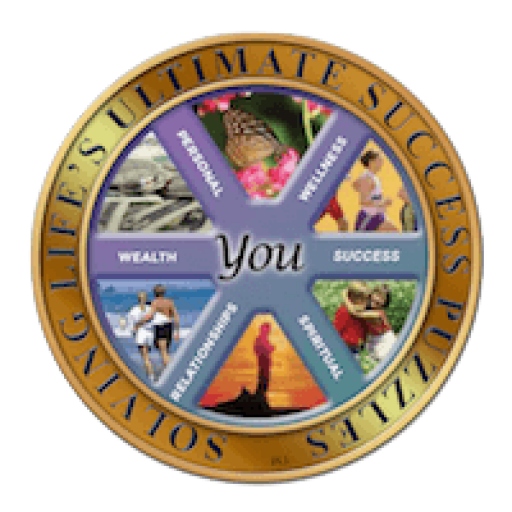 As coauthors of Solving Life’s Ultimate Destiny Success Puzzles, we wish you ultimate success in every area of your life! May this year be your happiest, most rewarding, fulfilling and richest year ever. . .